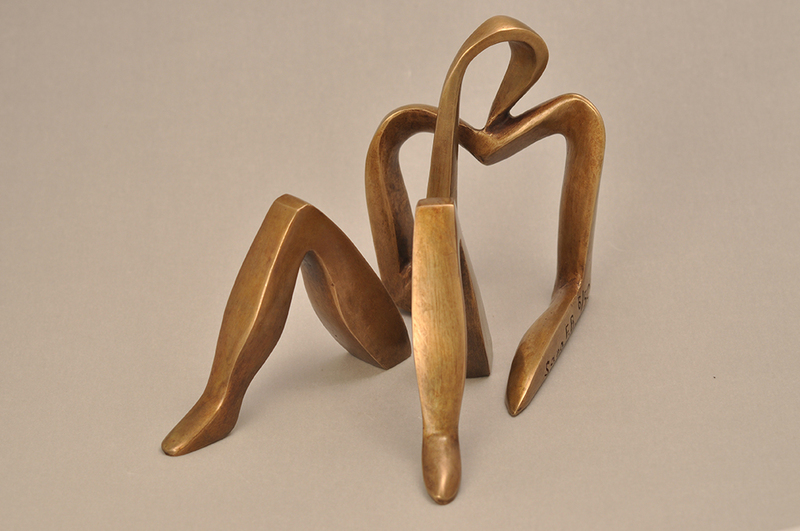 A unique three-piece bronze sculpture of a woman that can be rearranged in a variety of ways to compose a changing narrative. This is a limited edition piece of just 50 castings and is hand signed and numbered. It comes with a certificate of authenticity from the sculptor. All sculptures are sent boxed and are transported worldwide with a fully insured tracked service that takes around 5 days. Local customs and taxes are not included in the delivery charge and are the responsibility of the customer. 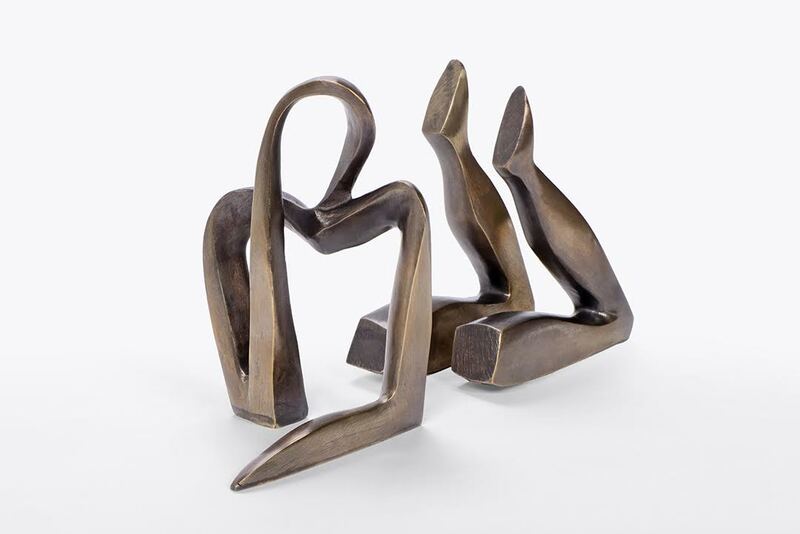 Living in Haifa, Sana Farah Bishara is a renowned bronze sculptor whose work focuses on the different facets of women. Her unusual multi-piece sculptures can be arranged in different ways to convey a changing narrative and perspective. Sana’s work has been exhibited both locally and internationally and she has a loyal following of collectors. She recently completed a full size statue of Saint Charbel for the Maronite Church, Haifa. 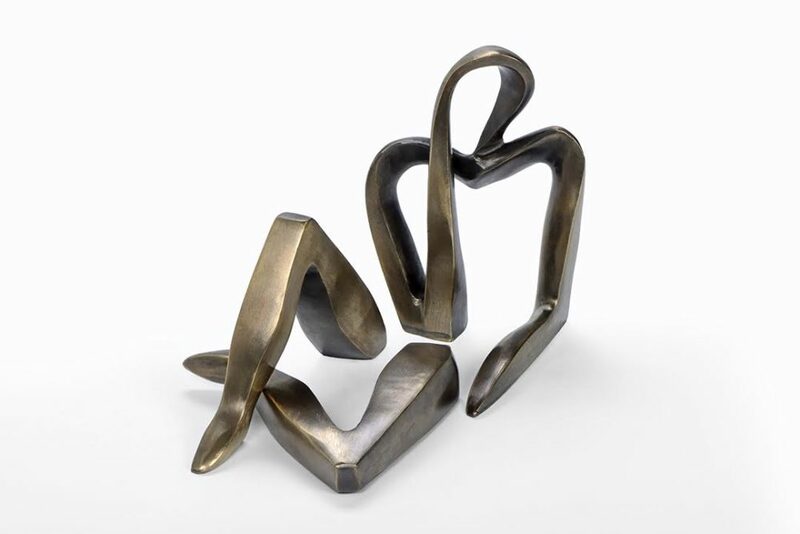 All Sana’s sculptures are unique artisan products that have been hand cast using the traditional lost wax method with foundry cast bronze. A new mould is created and destroyed for each casting so every piece is completely unique and comes hand signed and numbered with the casting number and edition size. A certificate of authenticity guarantees that this piece has been hand-made and approved by the artist.